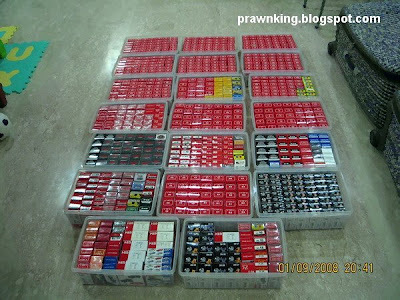 Without need to explain, the pictures already told how heavy are PrawnKing collections. 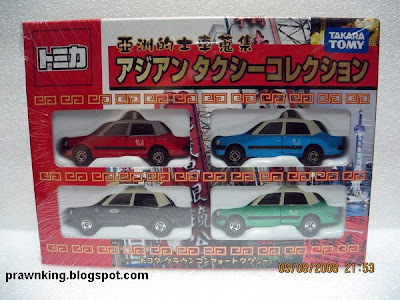 I have been following his Tomica Blog but it was stop after October 2007, lucky he decided to resume recently. PrawnKing quite active in KL die cast community, as over his country their communities are not as active as us. 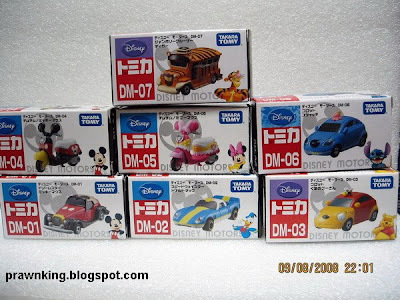 Due to variety of die cast choices in Singapore, and Tomica is categorised for kids, that explained why not many adult collectors. 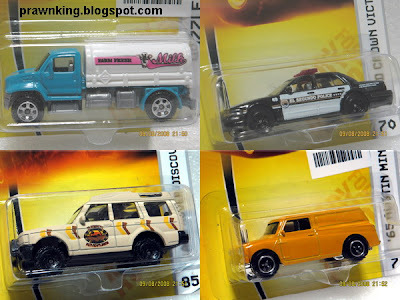 Hences, those hot models like Honda Civic Type-R and JSDF can easily found. As for me just been envy for his son for inherited his collection, which will be treasure when he grown up. Hopefully it hasn't too late for me to accumulate my collections for my son now only 8 months old. 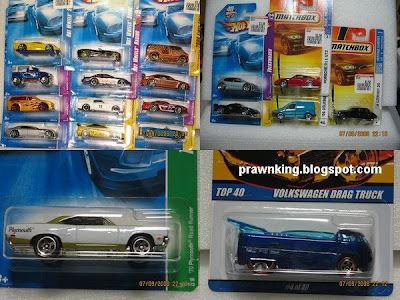 For Tomica Collectors out there, you shouldn't have missed his blog. 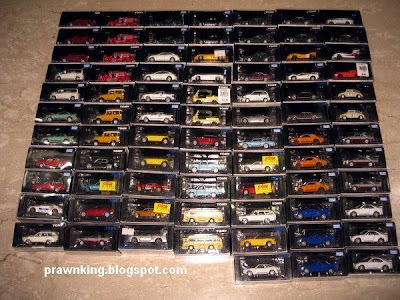 Wow, wow.. a big collection and a big collector. Don't know when I can archive a collection like him. Wow... I can't take my eyes out of his collection.. so great..